Researchers from The University of Manchester have found out that the naturally occurring gaps between separate layers of two-dimensional (2D) materials can be used as a sieve to isolate different atoms. The Manchester researchers reveal that hydrogen and deuterium –two hydrogen isotopes – can be divided if pushed through tiny spaces in between atomically thin materials such as molybdenum disulfide or hexagonal boron nitride. Their work has been reported in Nature Nanotechnology. Comparable to graphene, these materials can exist in a 2D layer and display unique properties because of their physical structure. Stacking diverse 2D crystals can allow the formation of bespoke multifunctional materials custom-made for specific purposes. The team led by Sir Andre Geim reported that certain 2D layered crystals can be used as the smallest possible mesh to produce sub-atomic sieves. On the surface, there is no space left between the atomically thin layers of the crystals as they are tightly stacked on top of each other. However, the team discovered minuscule gaps did exist by effectively forcing hydrogen isotopes to pass through the tiny cavities. By doing so, the team accomplished separation of these isotopes at room temperature, manipulating an exotic phenomenon, called quantum sieving. Isotope separation is usually an extremely energy intensive operation which is used in nuclear, research, and medical sectors. Hydrogen and deuterium – isotopes of hydrogen – have the same size if considered as classical particles but are rather diverse in size as waves if their quantum nature is taken into consideration. Compared to hydrogen, deuterium has a shorter wavelength, which allows it to pass more easily via minuscule capillaries and become separated from hydrogen. This sieving mechanism, called quantum sieving, manipulates an attribute known as the ‘particle-wave duality of matter’ – a famous physics phenomenon. However, very low temperatures are usually required to witness it. Observing matter acting as waves at room temperature requires a lot finer sieves, this has so far been impossible to attain. 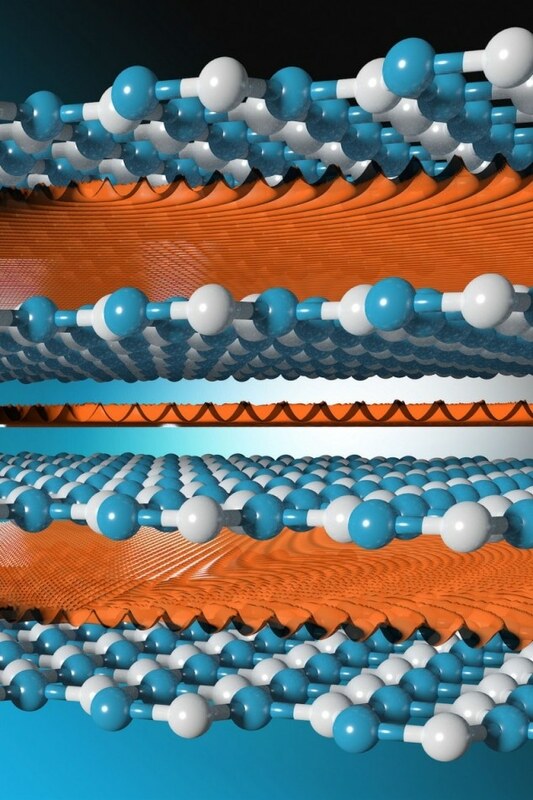 Currently, the Manchester team has demonstrated that 2D materials can deliver such sieves and that these sieves can be used to isolate hydrogen isotopes at room temperature. This could allow for the separation process to be a lot more efficient. Quantum phenomena are very rare at room temperature. To observe matter waves it is normally necessary to fabricate sophisticated contraptions such as magneto-optical traps or go to cryogenic temperatures. We demonstrate an experimental setup that allows us to see these exotic quantum phenomena at room temperature. In a majority of other materials, the heavier isotope – here the deuterium – would move slower than the lighter one – hydrogen. In contrast, the researchers discovered that deuterium squeezed easier via gaps in these crystals than hydrogen. The reason was revealed to be the heavier mass of deuterium, which translates into a shorter wavelength and consequently allows easier passage via narrowest grids. Half an angstrom is really the absolute limit of how matter can be confined. One can only speculate about what kind of phenomena can occur at this scale. We can now use layered crystals to investigate further in essentially a benchtop experiment. The team is optimistic about the effects of this discovery and is continuing to study these layered crystals along with other materials for isotope separation. This technology could complement earlier discoveries from the Manchester group. Last year, the same group demonstrated that graphene membranes can offer the most efficient technology for hydrogen isotope separation.